joined the Springfield Ballet Company in 1999 under the direction of Julie Ratz and performed many leading and soloist roles including Sugar Plum Fairy, Snow Queen and Dew Drop in The Nutcracker, Juliet in Romeo and Juliet, Odette in Swan Lake and Princess Flourine in The Sleeping Beauty. 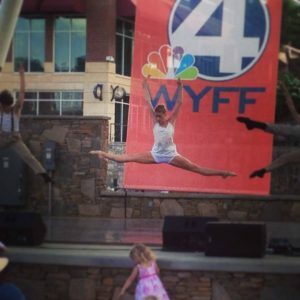 In 2005, Erica moved to Greenville, SC to start her professional training and career with Carolina Ballet Theatre under artistic direction from Hernan Justo. She has performed in many leading and soloist roles in both classical and contemporary ballets set by Hernan Justo and resident choreographer Francesca Genovese. These include Sugar Plum Fairy and Clara in The Nutcracker, Carabosse and Aurora in The Sleeping Beauty, Ambrosia in Francesca Genovese’s The Ribbon, Eva Peron in Hernan Justo’s The Chestnut of your Eyes erased and the wife of a military soldier in He Never Came Back. Other ballets include Tangofusion, Le Corsaire, Giselle, True Blue, Down Home, Cinderella, Pulling the Strings, Virginia’s Mine, Hunchback of Notre Dame, Paquita, Raymonda and Celebration of Women. Erica also had the extreme privilege of working with and performing Alonzo King’s “Map” and Dwight Roden’s “Beetlejuice”. Erica has been a dance instructor for the past 10 years and started teaching for DAG in 2007. 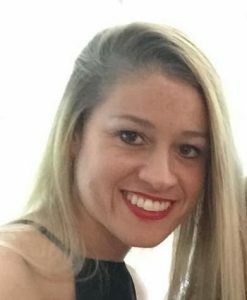 After recently moving to North Carolina to work with Piedmont School of Music and Dance for 2 seasons, she is now coming back “home” and is beyond thrilled to be teaching back at DAG & DAYCO students!! She looks forward to a fun and very exciting year ahead! !